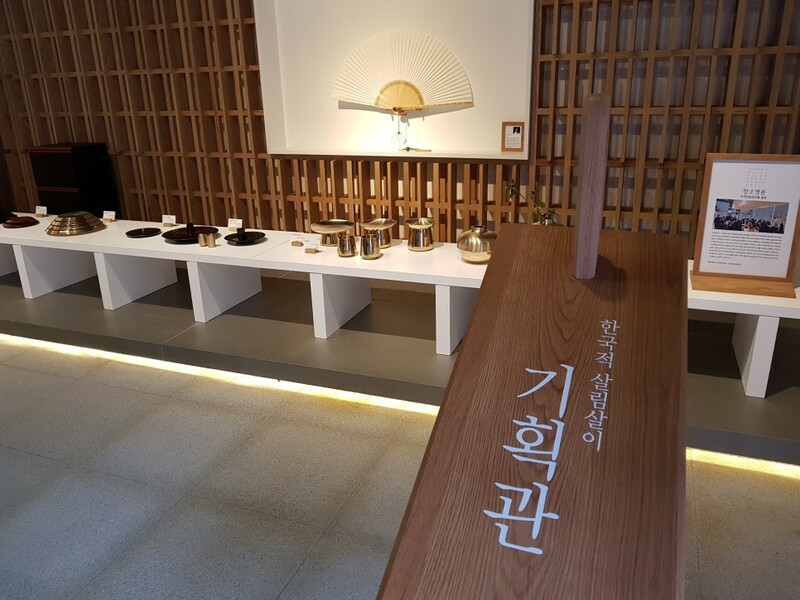 After a long period of renovation, Jeonju Craftwork Exhibition Center reopened as a space for cultural merchandising, exhibition, education, and experience. 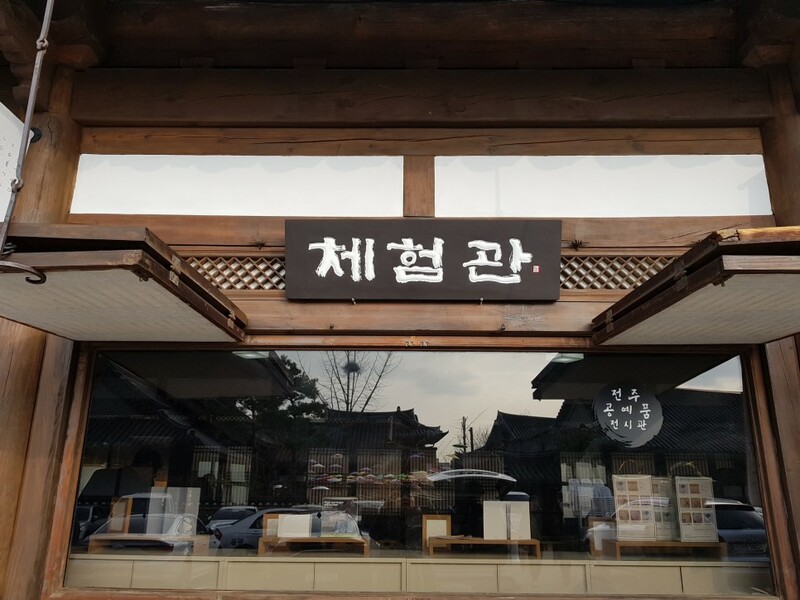 The renovated Jeonju Craftwork Exhibition Center is located on Taejo-ro, the main street of Jeonju Hanok Village. You may watch and purchase craftworks from the local artists. 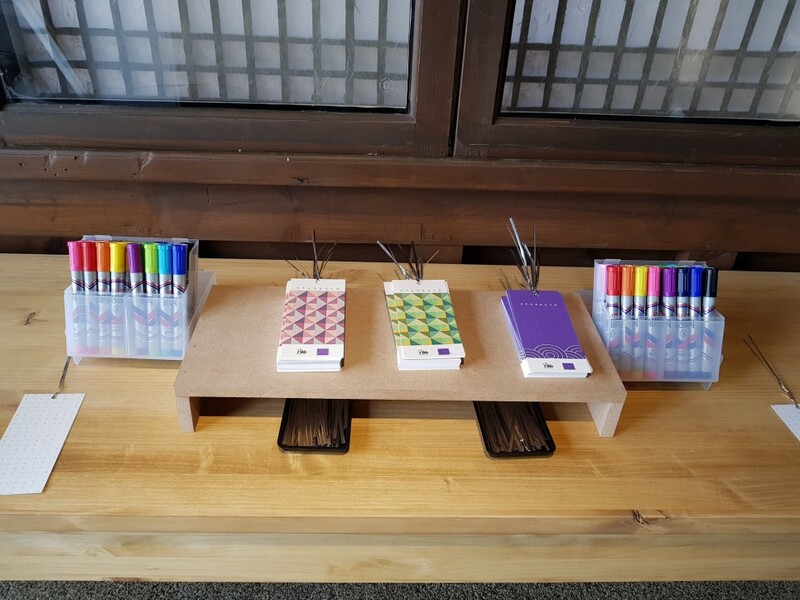 You may also participate in cultural programs for tourists such as ‘do-it-yourself Korean traditional folk painting pop-up book’ or ‘making mini folding screen wishing longevity and fortune’. 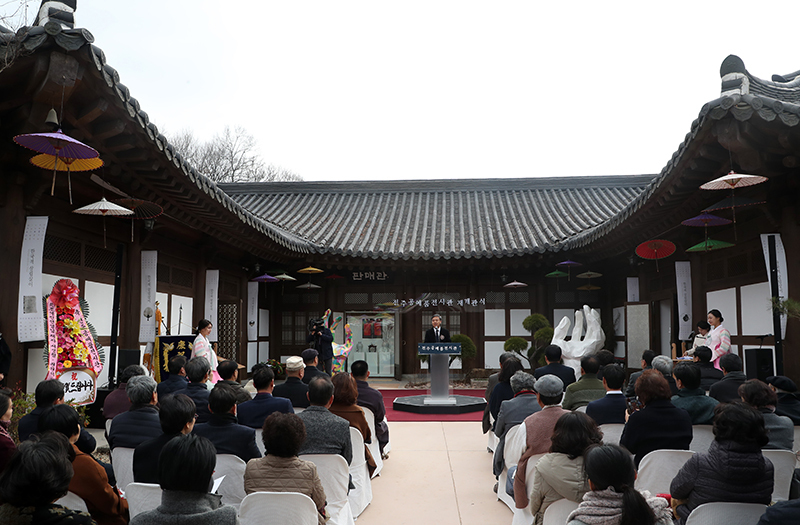 I visited Jeonju Hanok Village to attend the reopening ceremony of Jeonju Craftwork Exhibition Center. 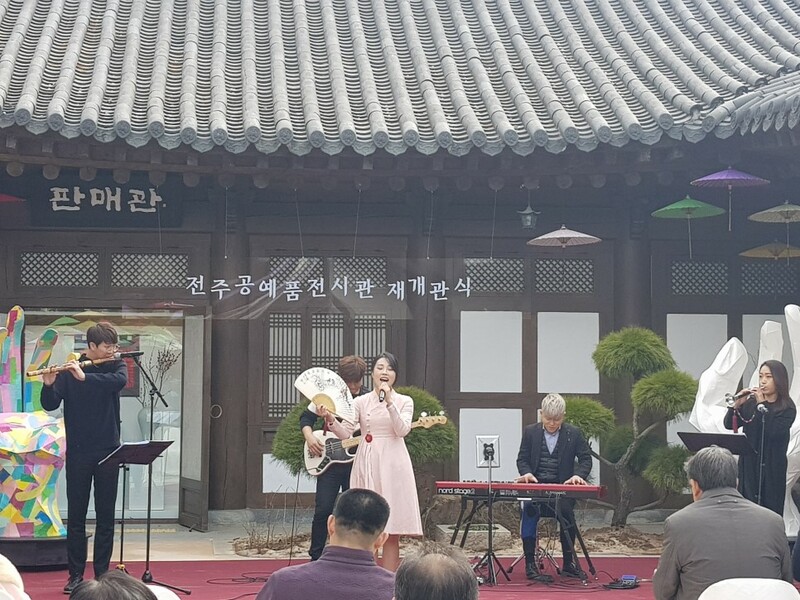 The mayor of Jeonju, local masters of Intangible Cultural Assets, local craftwork artisans, and local residents gathered to celebrate the reopening of the exhibition center after 14 months of renovation. 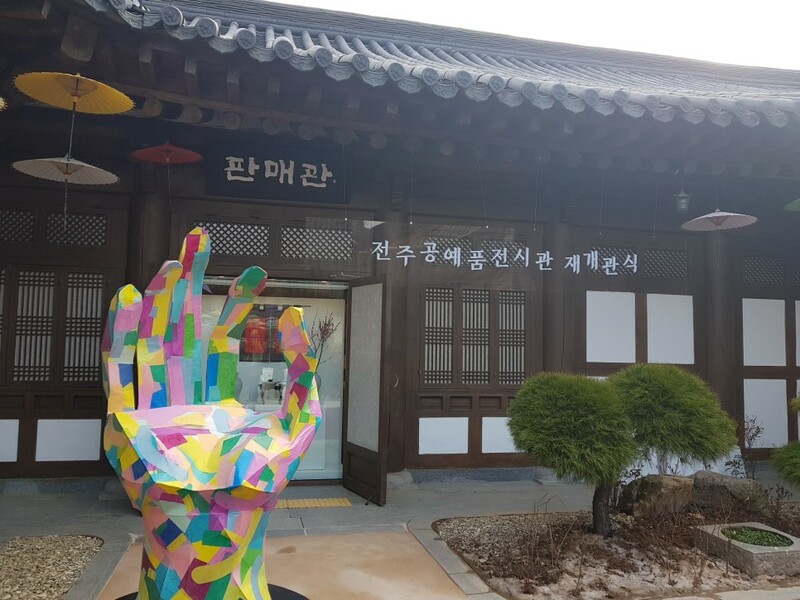 To commemorate the locals’ efforts to preserve and develop the rich cultural heritage of Jeonju, the local artisans and local residents together decorated this large hand with colorful hanji (Korean paper) pieces. Also, I was fascinated by the colorful hanji unbrellas, one of the finest local traditional craftworks, dyeing the blue winter sky above the exhibition center. 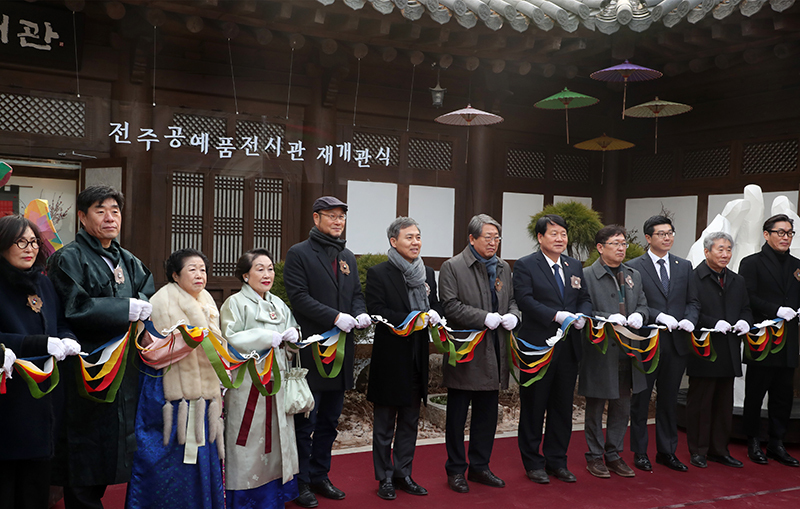 ​After the Korean traditional musical performances, the participants cut the hanji ribbon to announce the reopening of the exhibition center. ​Two exhibition halls (Kihwek-gwan) are the new additions to the exhibition center. 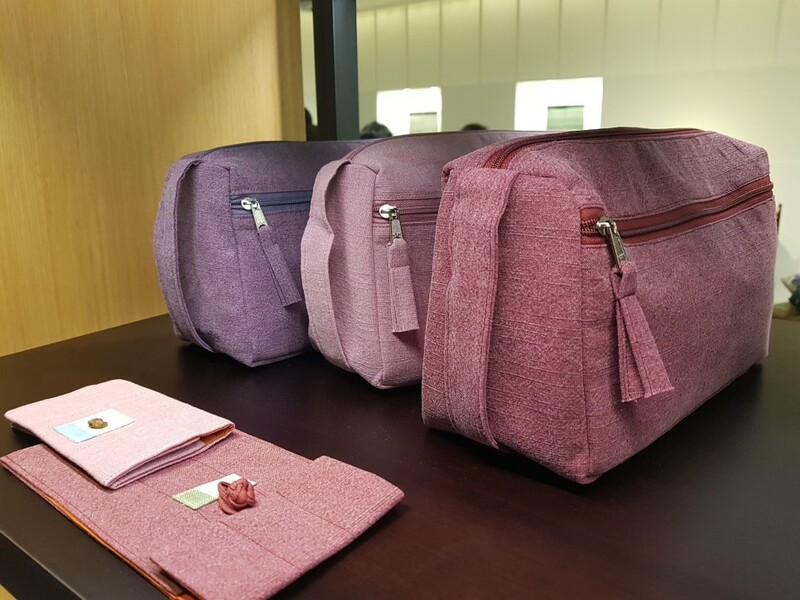 The halls are mainly for exhibiting the works of the local craftworks artisans, who previously had hard time finding showrooms. 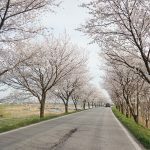 Educational and experience programs will be held in Chehom-gwan. 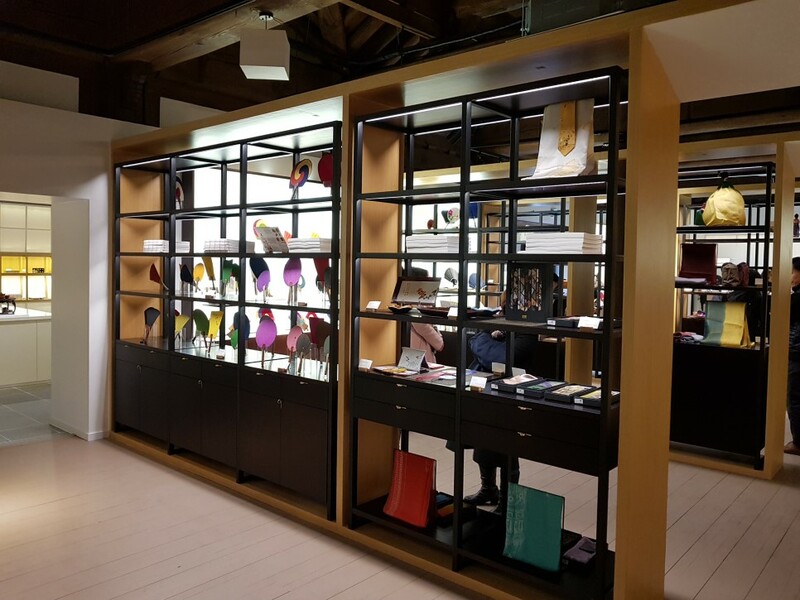 This space is also for the sales of the local craftworks. 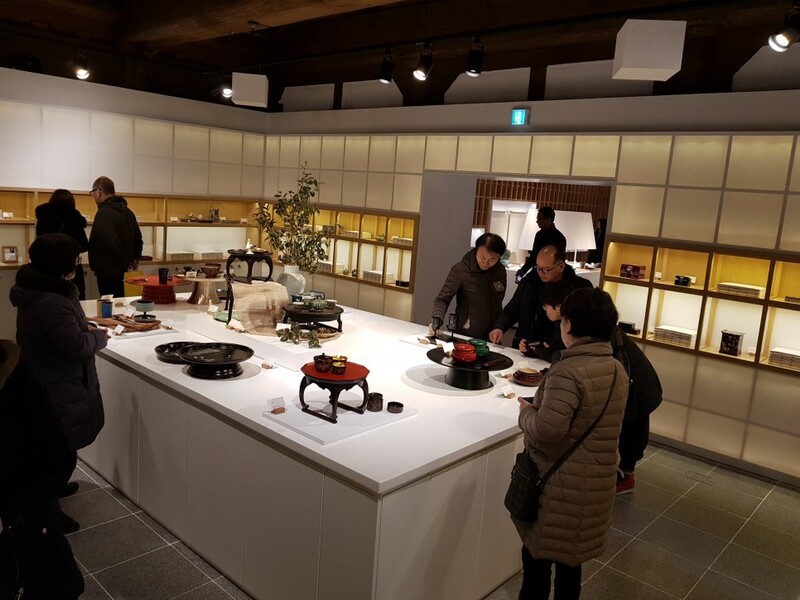 To celebrate its reopening, Jeonju Craftworks Exhibition Center is running several experience and educational programs. 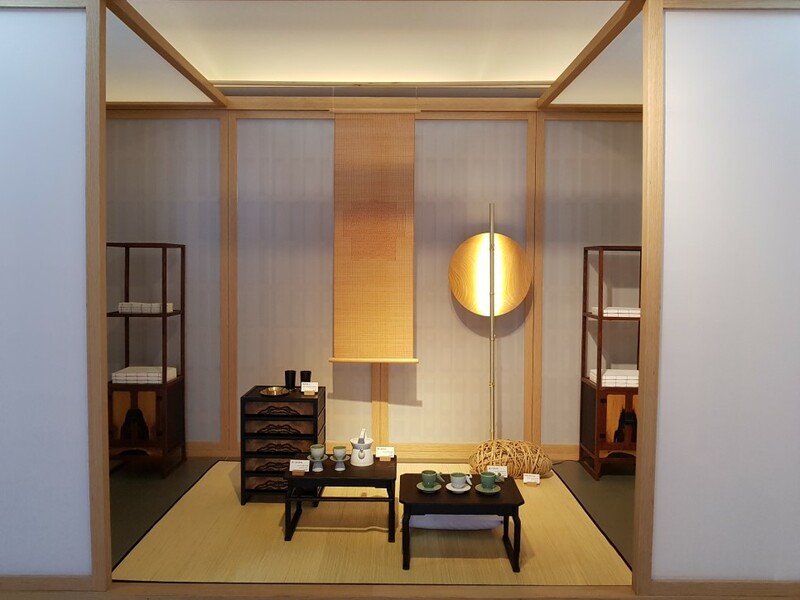 Also, the exhibition center is full of traditional and local craftwork goods. 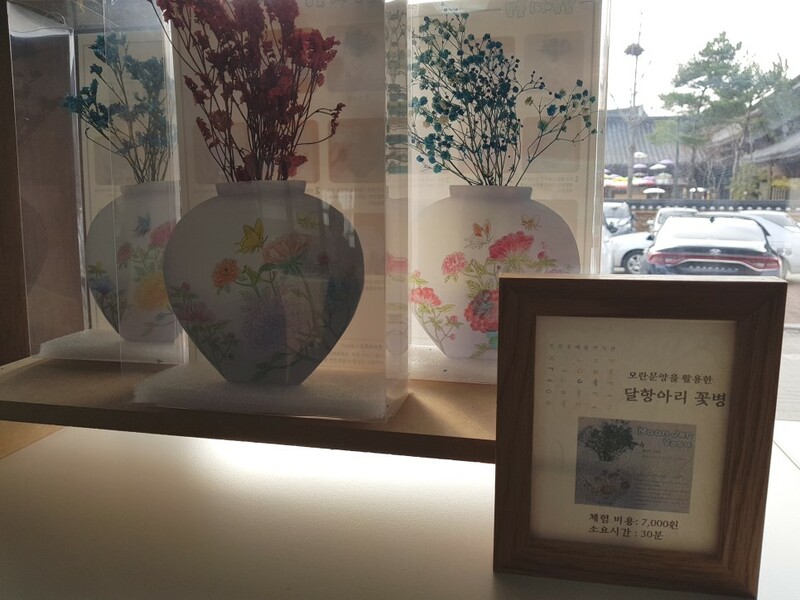 Here, you’ll find the best souvenir for your visit to Jeonju. Looks like a great place to discover local craftworks! 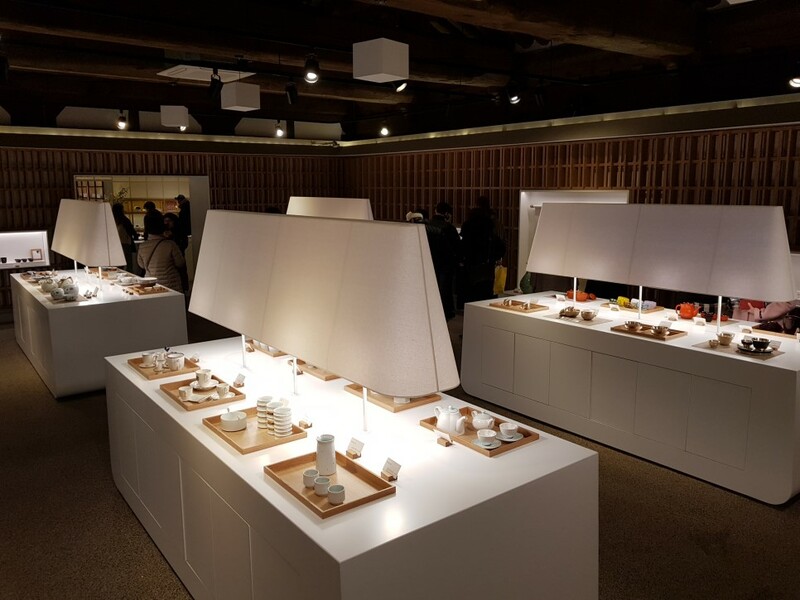 Congratulations for reopening Jeonju Craftwork Exhibition Center! It is really nice the city gives a space to local craftworks so they are not only exhibited but also sold. I would like to know more about the educational programs they have available! Looks lovely – will see if I can make a turn here in April! Totally intricate items, the local people must be so proud of their tradition and customs. Look forward to visiting here soon and having chance to participate in this wonderful event. 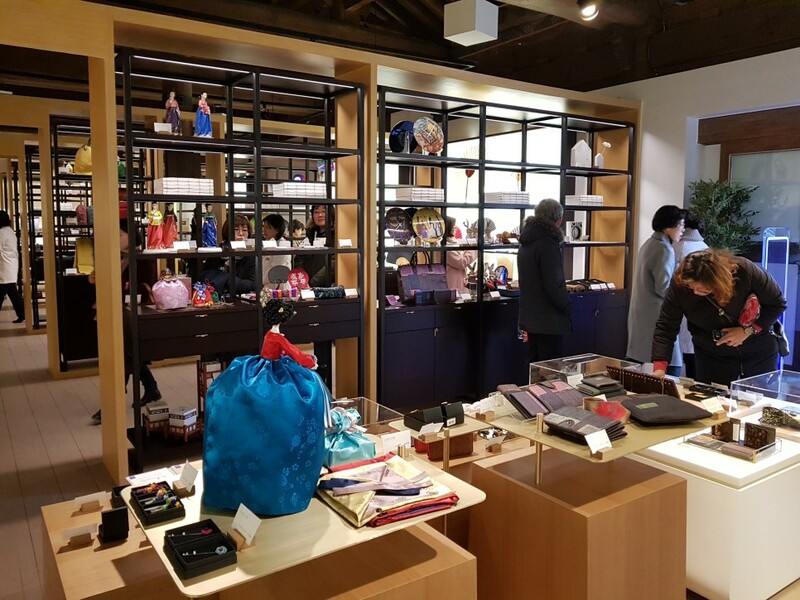 Jeonju Craftworks Exhibition Center is the best place to visit for finding and buying souvenir in Jeonju! My mom visited Korea last year on Christmas and had I know that they held this even, I would’ve gone there with her. She loves traditional artisan products so I think she would’ve enjoyed this event a lot. The hanji umbrellas look so beautiful btw! I have been living in the country for almost 3 years, during my different travels around the country I have accumulated what I like to call ‘my personal treasure’ with a lot of post cards, key chain, and traditional item such as shoes and even my own personal stamp. 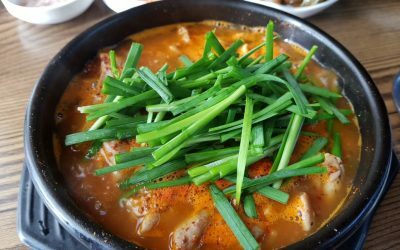 When I go back to my country I would like to see those things more than just Items, but as a reminder of all the beautiful experiences I had in Korea. If you have the chance to do the same, give it a try. the place looks amazing. 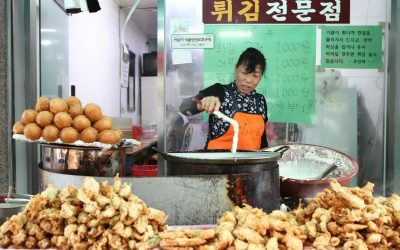 I have been in korea for a while and would love to visit something like that! Thanks for sharing this good information!!! It will definitely helps to improve my knowledge of Korean Cultures!! 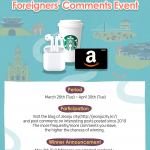 Do they have any special program or tour program for foreigner? 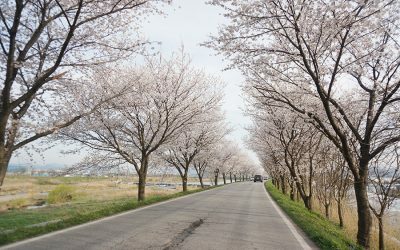 Best places for Korean souvenirs to bring back home!! I love looking at handmade crafts in Korea. All these craft-work look very sophisticated. 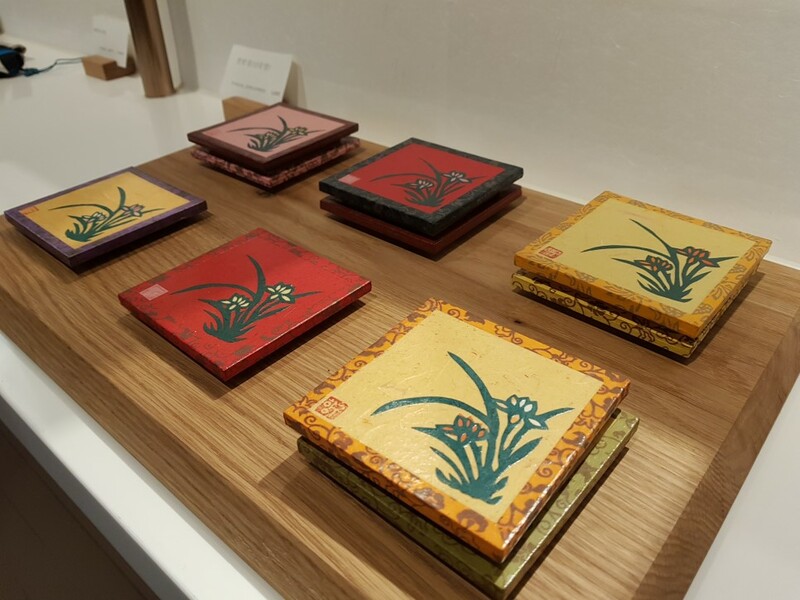 They seem like great souvenirs to bring home to represent the simplistic but traditional culture of Korea. These are the take away souvenirs when we will go back to our country. ‘making mini folding screen wishing longevity and fortune’, i need this for my parents! How to take the public transport to this exhibition center?! Any entrance fees for the exhibition?? 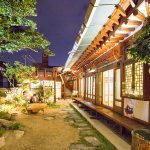 Jeonju Craftwork Exhibition Center worth visit!! 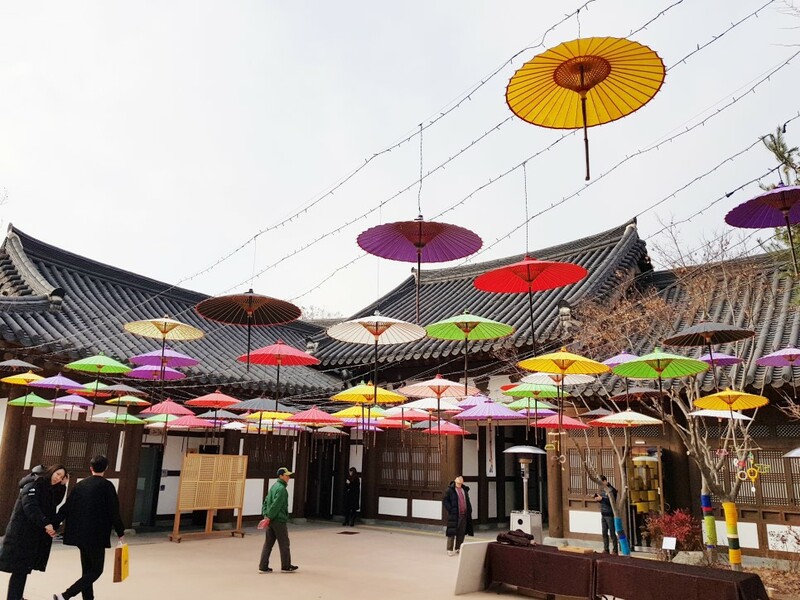 Seeing the local artisans and local residents decorating the large hand with colourful hanji to commemorate the efforts to preserve and develop the rich cultural heritage of Jeonju really warms the heart. I will also definitely be adding the exhibition to my visit list for sure! i want to go there and try those pretty shoes, do they have them in 270 cm? so tell me, do you like traditional things? I’ve once tried making makkeolli as a part on an another experience program, thus this sounds as exciting. 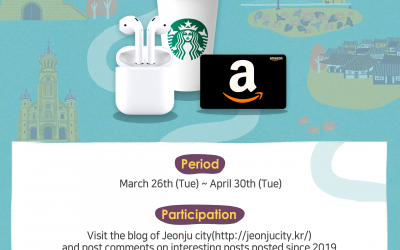 Hope to go to Jeonju someday. All these pictures look so cool!!! 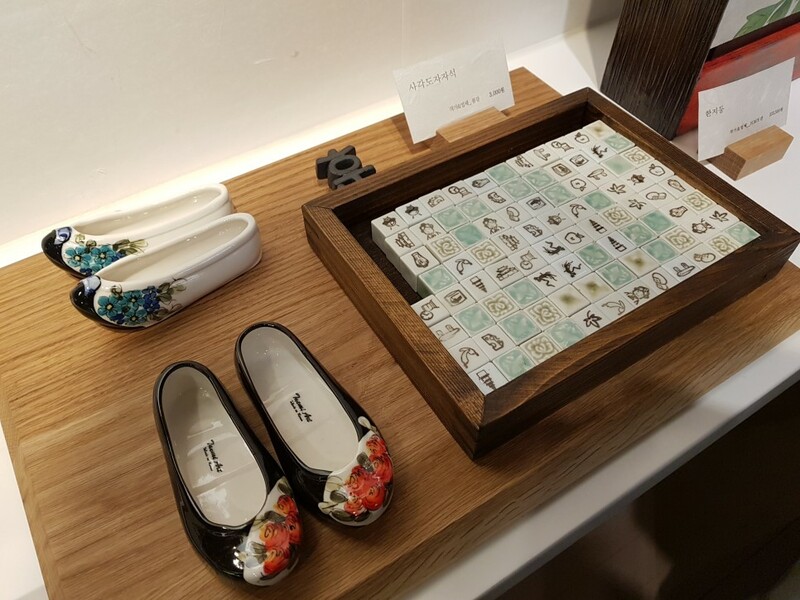 Korean souvenirs are great, especially the ones that show about the old style Korea – like Hanji paper, Hanbok costume, wooden items and the black lacquered jewelry boxes with pearl designs. 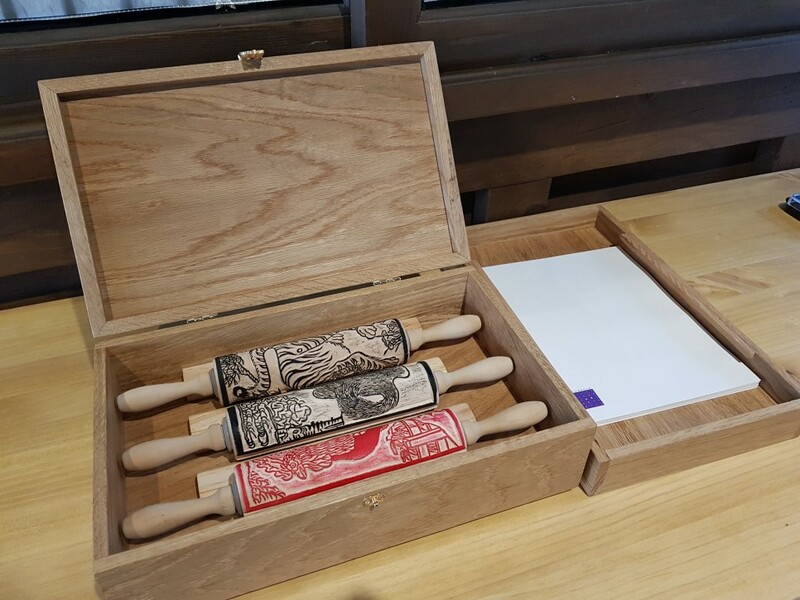 Anyone know what the rolling pin thing is called in korean?